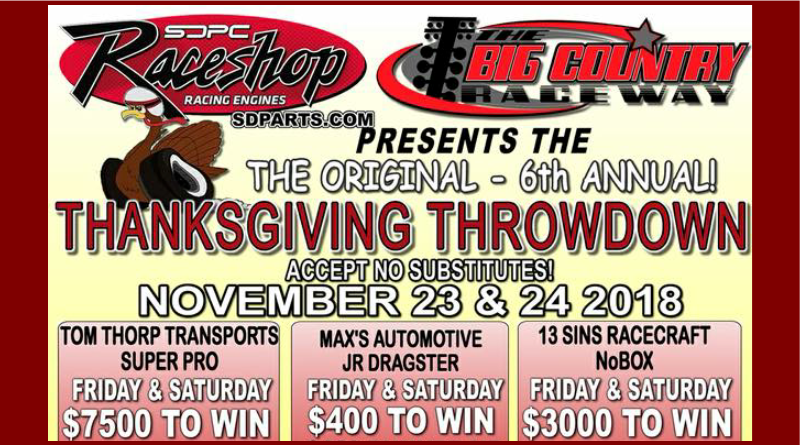 ABILENE, Texas – The 6th Annual Thanksgiving Throwdown comes to Big Country Raceway November 23 and 24. The SDPC Raceshop sponsored bracket race pays $7,500 to win in Super Pro, $3,000 to win in No Box, and $400 to win in Jr. Dragster. For more information see the flyer below or contact Big Country Raceway.